Another successful event, this year we took 509 blood pressures! Again, one of the most important aspects contributing to the success of the event, is the fact that the Arndale Centre allocate us a prime site, many thanks to them for arranging that for us. 107 people were advised to see their GP for a routine follow up within one month, and 15 were of sufficient concern to be given guidance to visit their GP for an urgent follow up within one week, thankfully, this year we had no hospital admission advised. After the event, all the drinks, cereal bars etc that were unused, were donated to the homeless shelter Narrowgate in Salford. 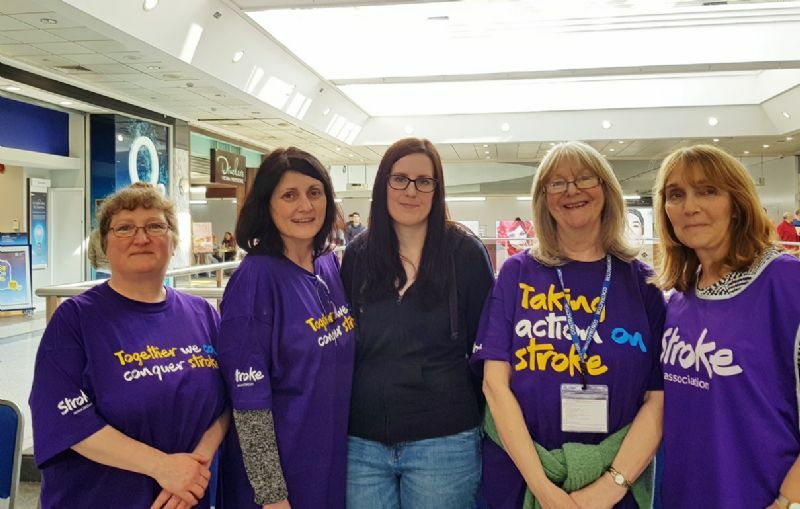 Without the help, enthusiasm and support of all the volunteers, including Rotarians and friends of Rotary, this event and important contribution to public health and awareness of stroke, could not take place, and be the success it is. Our thanks to Manchester University Estates, who lend us the furniture, BCL Movers, the support of the staff at the Arndale Centre, a BIG THANK YOU TO ALL!! Each year, a theme seems to emerge, and this year, at the end of the event when we were discussing this, Judy was saying how many people were talking to her about their feelings of loneliness, and feeling very alone. This impacted so significantly that Judy did this research on the subject, thank you Judy. In 2018 the Office of National Statistics regarded the UK as the loneliness capital of Europe, following their survey of over 10 000 adults. They suggested one in every 20 people often, or always were lonely and emphasized that 10% of 16 -24 year olds fell into this category, making them the largest proportion of participants. Reasons for this may include a reliance on social media rather than face to face communication, as well as those factors already mentioned. However, despite the plethora of definitions there is reticence on the part of many people to acknowledge that they are lonely, possibly due to the degree of stigma attached to it but also that it is an expected part of growing old.